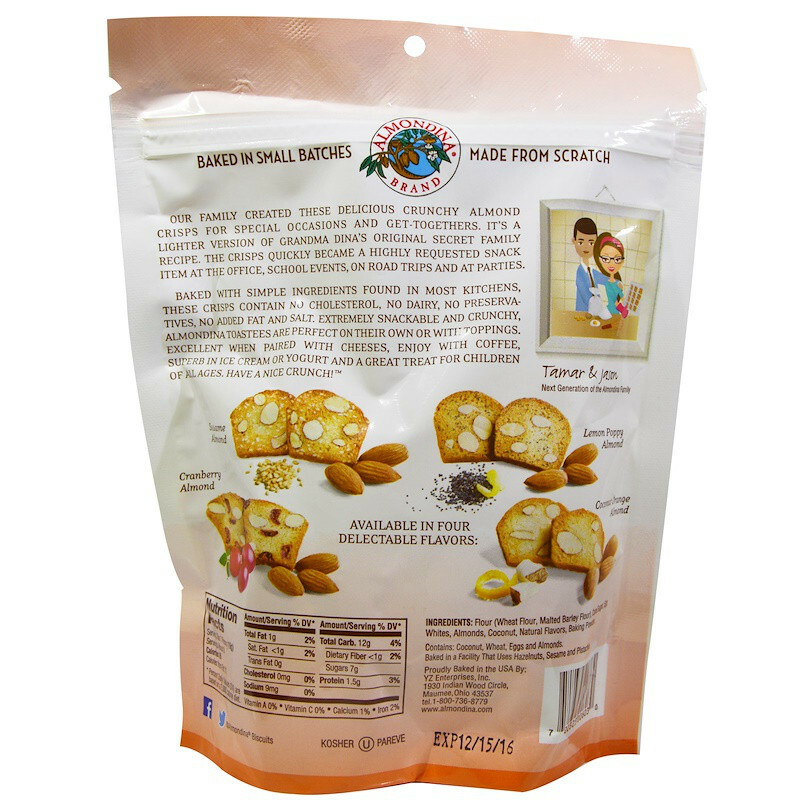 Our family created these delicious crunchy almond crisps for special occasions and get-togethers. It's a lighter version of grandma Dina's Original secret family recipe. The crisps quickly became a highly requested snack item at the office, school events, on road trips and at parties. Baked with simple ingredients found in most kitchens, these crisps contains no cholesterol, no dairy, no preservatives, no added fat and salt. 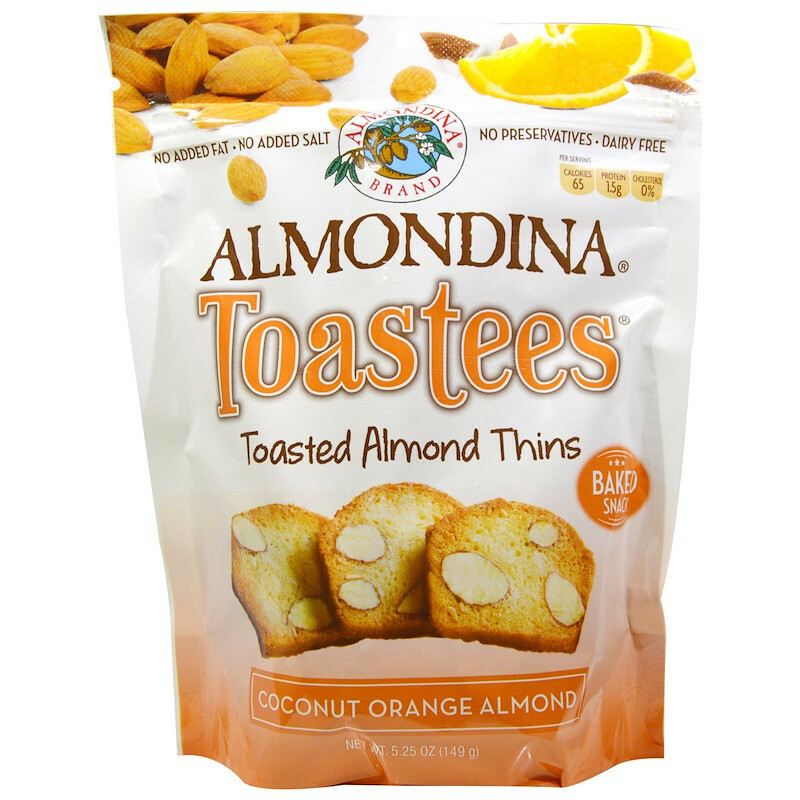 Extremely snackable and crunchy, almondina toastees are perfect on their own or with toppings. 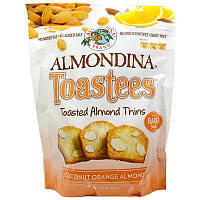 Excellent when paired with cheeses, enjoy with coffee, superb in ice cream or yogurt and a great treat for children of all ages, have a nice crunch! Мука (пшеничная мука, солодовая ячменная мука), сахарный тростник, яичные белки, миндаль, кокос, натуральные ароматизаторы, разрыхлитель. Содержит: кокос, пшеницу, яйца и миндаль. Запекается в помещении, в котором используются фундуки, кунжут и фисташка.